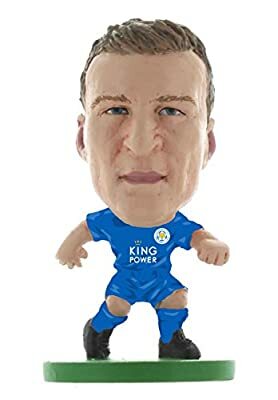 The Officially Licensed Leicester City Football Club Figure of Robert Huth in his classic Leicester City home kit The 2 inch smash-hit football collectable from Creative Toys Company features over 750 figures to collect in the entire range! Painstakingly hand-crafted to achieve the perfect player resemblance, SoccerStarz are pocket sized miniatures of the Real World Stars! SoccerStarz are available in a variety of forms including Single Blister Packs, Blind Bags, Team Packs and NEW 4 Figure Blister Packs. The ultimate gift for Football Fans, SoccerStarz are officially licensed & fully endorsed by the World's Best Clubs & National Teams!